There is nothing I love more than a holiday, especially a holiday that brings the people of my home together in celebration. Not many celebrations in Costa Rica are bigger than the national holiday on August 2nd, which celebrates my country's patron saint, Virgen de los Angeles. OK, maybe Christmas and Easter are the biggest religious holidays in Costa Rica, but Virgen de los Angeles day is also regarded highly among locals. Let me tell you the story of Virgen de los Angeles, which involves mystery, natural disasters, architecture and of course, a feast. It all started when a woman happened upon a statue one August day while washing clothes in a spring or gathering wood for a fire. That encounter ended up having a profound effect on the future of Costa Rica. That small statue was carved into dark wood and represented the Virgin Mary. Curious and likely in awe, the woman tried to take the statue from the place she had found it, but the statue miraculously kept showing up back in that same spot. Well, that would be enough to convince me to hop around a build a shrine for this statue, and that is exactly what the townspeople did. The Basilica Virgen de Los Angeles in Cartago was built in 1639, but this modest structure was hit by an earthquake and partially destroyed. A restored structure was completed in 1722 and incorporates mixes of architectural styles like colonial and Byzantine. The Virgin was officially declared to be the patron saint of Costa Rica in 1824. As the month of July winds down and August 2 quickly approaches, you really can't miss the buzz of celebration in Costa Rica. Pilgrims can often be seen traveling along the Pan American Highway and other roads, heading to the city of Cartago to celebrate the Virgen de Los Angeles. 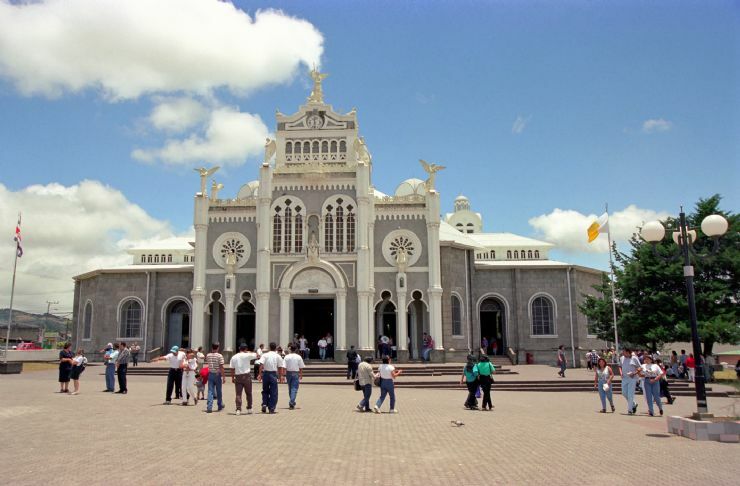 These people travel to Cartago in a variety of ways, from walking barefoot to riding horses, but they are all making their way towards the Basilica Virgen de Los Angeles in order to honor the country's patron saint, which now sits on a gold platform. This religious holiday is a remarkable experience for visitors to Costa Rica, as it exhibits the true culture of the country and the unique beliefs of its people. 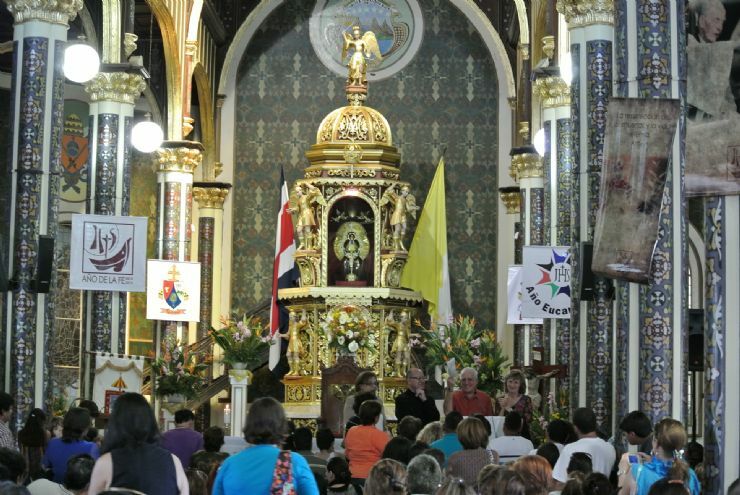 There really is no better way to immerse oneself in the local culture than to experience a tradition like the day celebrating the Virgen de Los Angeles in Cartago. 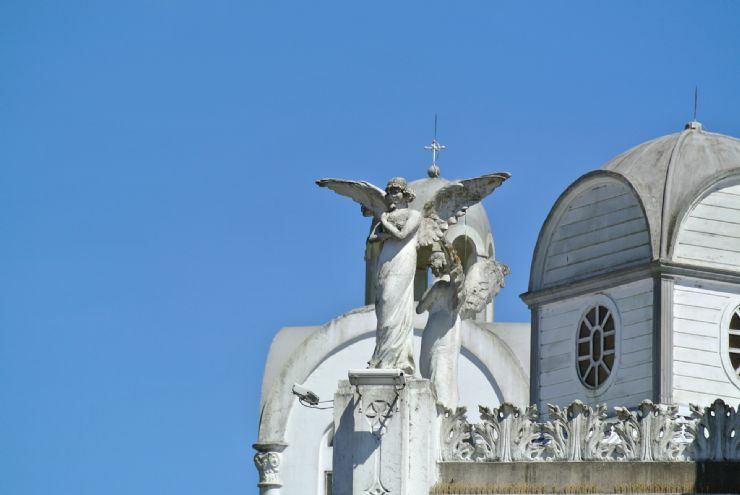 Visitors will want to venture to the Basilica in order to check out the statue of La Negrita, which was given that name because it means "little dark one" in Spanish. Additionally, local legend has it that a small stream with curing powers is situated in close proximity to the Basilica. Pilgrams following traditional beliefs also drink from the stream, splash themselves with the water and collect some to take with them. Upon arriving at the Basilica, many pilgrims will climb the steps of the church on their knees as a means of thanking La Negrita for favors or even praying for help to overcome sickness or other obstacles. Visitors can also pray by the stone where the image was originally found. In August 2003, 1.5 million people descended upon the city of Cartago. 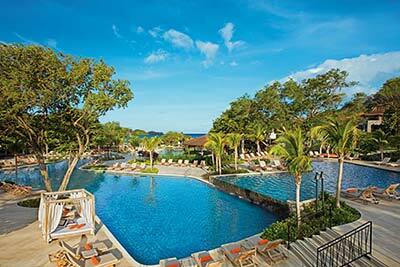 At the time, that number was close to 40 percent of Costa Rica's entire population. 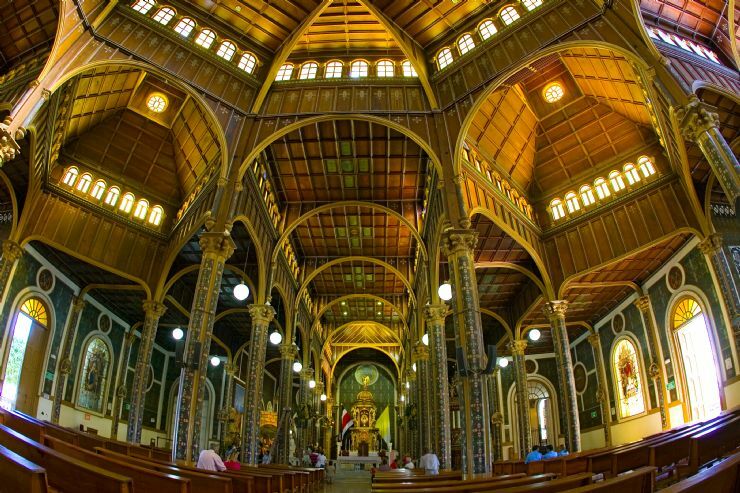 For travelers visiting Costa Rica during the end of July and early August, it should be a priority to make the trip to Cartago to observe one of the most fascinating religious events in the world. There are also celebrations throughout Costa Rica that include dedications to the Virgen de los Angeles Day with music, feasting and fairs.